Creating edible gardens within the city, is a great way to enjoy fresh produce straight from your garden. 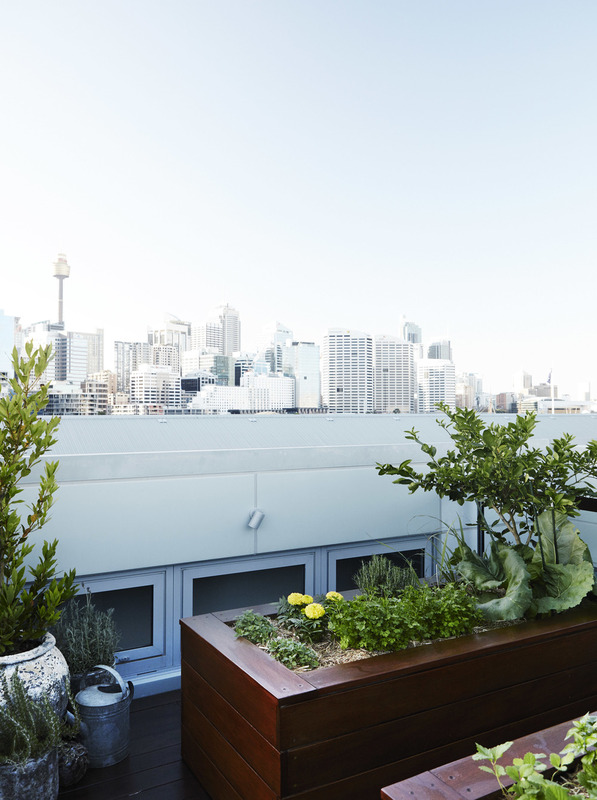 When our clients approached us to work on this rooftop project in Pyrmont, we were excited to create a green environment and landscape that contrasts the cityscape surrounds. 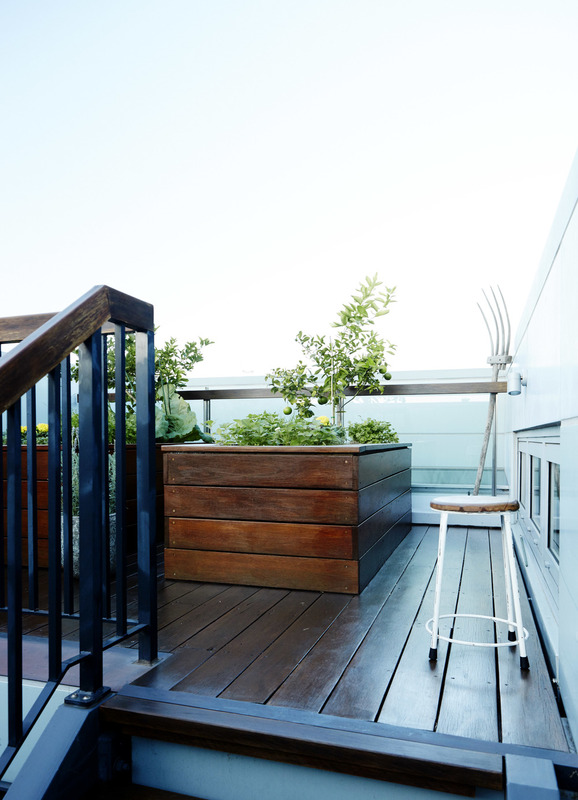 Custom built timber planter boxes provide the perfect environment for growing seasonal herbs and vegetables. 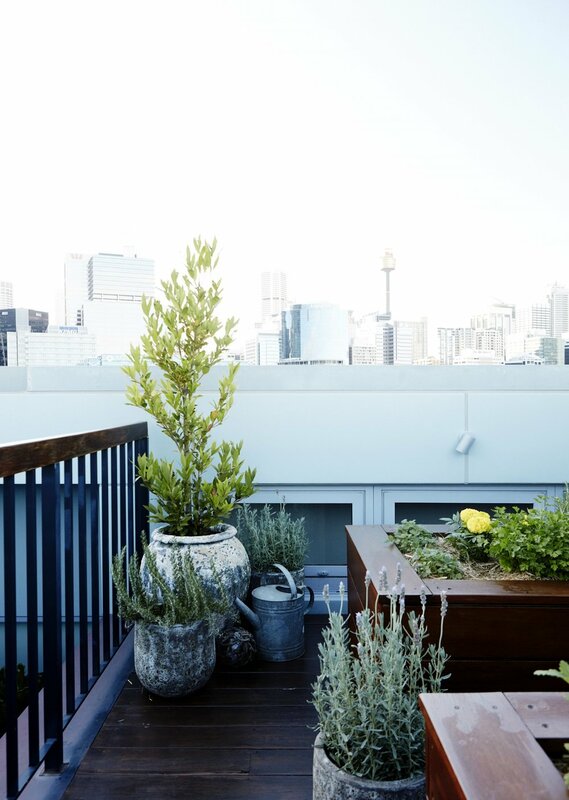 The aspect of the rooftop allows great growing conditions for the plants as well as a private decked sanctuary for our clients to enjoy. Irrigation was discreetly installed underneath the deck, to provide water to the planter boxes and pots, completing this landscaping project. Periodic maintenance is provided at our clients request.